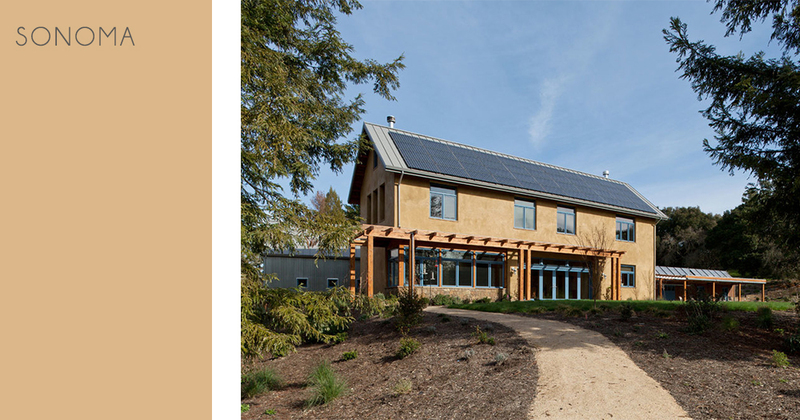 Crafted for an eco-conscious client, Navarra Design partnered with DSA Architects in Berkeley to design this off-the-grid home, utilizing the most environmentally conscious materials and construction methods. 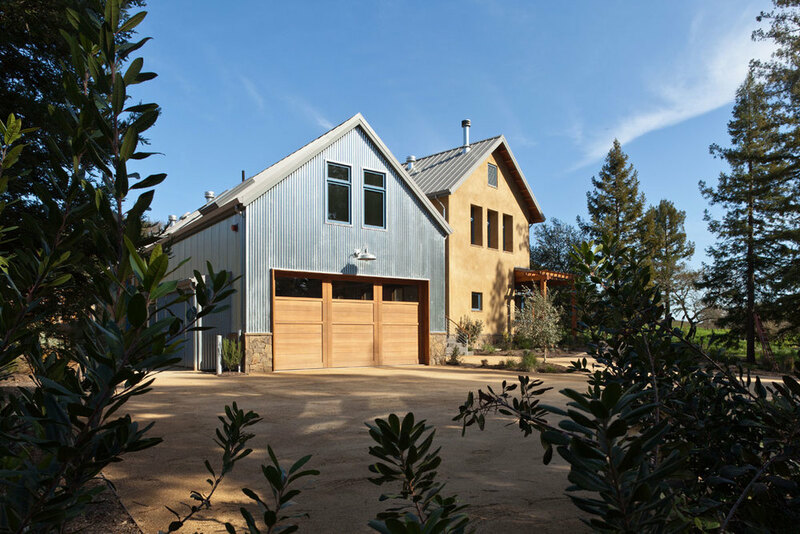 A project that was initially intended as a weekend farmhouse, this Sonoma home is now outfitted as a small production farm. The residence features straw-bale construction and has a LEED Platinum certification. With its concrete floors and earth plaster walls, this transitional farmhouse has a minimalist feel and clean profile.